Late night and an early morning up made for short sleep. Spent the morning doing all the town things I didn’t get to do yesterday- I even made a list that I slowly checked off. At the same time I spent a good amount of time talking with Don, the hotel manager and then Gabriel and Marmot when they came by for the homemade bread and muffins. I cannot speak highly enough about the folks here at the Sun and Sand Motel. It’s very affordable (at least in the off season). The rooms themselves are nothing special, a little old, but still very clean and comfortable with all of the needed amenities (in all the right places). But what puts them over the top is their focus on guest hospitality. I’ve never met a friendlier pair of motel managers. They really went the extra mile to try to make sure my stay was enjoyable, and based on their google reviews that’s not out of the ordinary. I would absolutely highly recommend it to anyone who is going through Kanab. Ok digression aside- but that was part of the problem! I spent an hour talking with Don when I had meant to be starting my laundry. So that I could get laundry done I sadly skipped out on breakfast with Marmot and Gabriel. I packed, Finished writing postcards, dropped a bunch of things off at the PO, finished some personal financial things…and suddenly it was 2pm already! Where does time go!? Quickly out to the corner and got a hitch to Fredonia in about 20 minutes from 4 high school kids who were out on their lunch break (and all eating green salads!!) driving a manual transmission jeep probably 20 years older than they were. They were excited for the end of the school year and the state baseball invitational tournament to start next week. You never know who is going to give you that ride. There was a bit more excitement this time…I watched, mystified as a car drove off with the gas nozzle still on his tank. It actually ripped the hose out of the gas station and he was driving down the highway trailing the hose behind, sparks flying and completely oblivious. I nearly got a ride with Wild Bill, an AT/PCT hiker, but his friend who was meeting him was on time, so he didn’t have the time to do it. I popped into the store a few times to talk with the attendant who was pulling for me to get someone. I started recognizing some of the locals cars who drove by me 3, 4, 5 times. I even ended up accidentally sticking my thumb out for the County Sheriff who just smiled gave the to finger wave and drove past. Grant is a medical resident and Alicia is a toxicologist from Corvallis, OR. But they were off of work and out for a ten day swing through the southwest. They’ve got a super nice tricked out #vanlife van complete with fridge and insulated bedding areas. 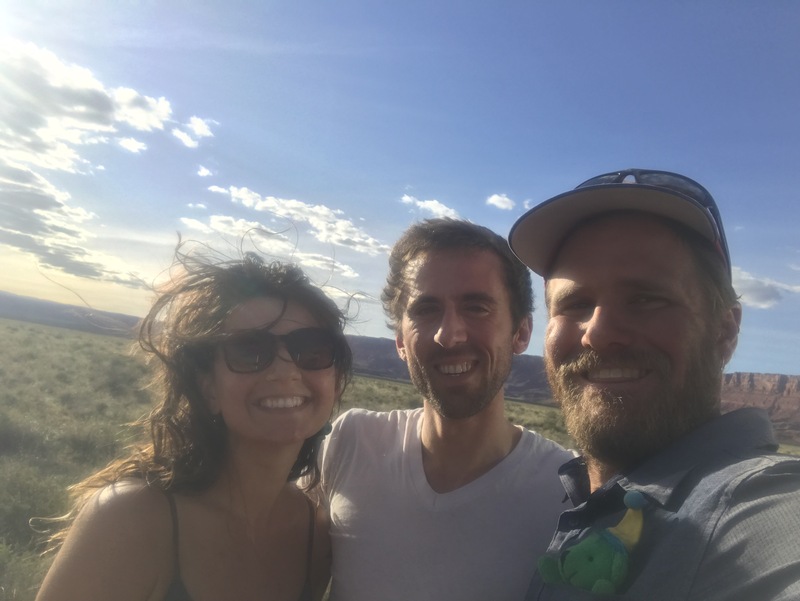 They initially planned on only giving me a ride to Jacob Lake because they were going to go down to the North Rim, but when I told them the roads were still closed, it turned out their next stop was Flagstaff so they could give me a ride the whole way! Another pair of super friendly folks. These last two hitches have definitely been worth the wait. 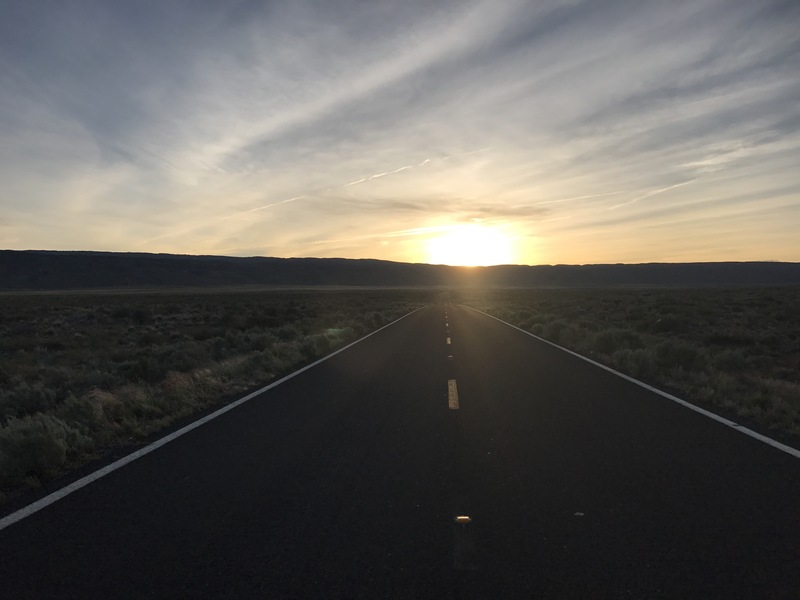 I will give another little digression here- if any future haydukers are reading this, if you plan on taking the Buckskin-Paria Alt, I would strongly recommend burying a cache somewhere nearby the exit, or somehow lining yourself up a ride to get you to/from Kanab or Jacob Lake. Traffic flow is steady on 89A, but it just seems like folks aren’t really interested in picking you up. The combined 7.5 hours of waiting for a ride effectively puts me a full day behind in my schedule. I hope I can catch up- but not positive. Digression over- it was now 5:40 and I was finally back to walking. 5.1 miles up 89A straight into the setting sun. The fields out here suddenly look orange with all the blooming globemallow. The late evening air was pleasant, not hot at all. A slight breeze offering the perfect touch. I became even more appreciative of Grant and Alicia when I only passed 19 more cars heading towards me in the 90 minutes it took me to walk the 5.1 miles. Car number 16 was a trip!! A vacationing European couple in a Sports car whose GPS had died stopped and asked how far it was to the Colorado River, which direction it was to Vegas where their hotel was, and where the closest gas station was because they only had 114 miles left in their tank. I tried to help as best I could knowing they had a super long night ahead of them. I finally turned off the highway just around dusk but wanted to go a bit Farther so that I wasn’t camping right next to the highway. I started down the jeep road and could see some kind of ranch house complex in the distance but had no idea if it was abandoned or occupied until I was nearly there and saw the “Private Property” signs. So I stayed on the road, and suddenly a dog barks, and a minute later two women come screaming out of the house that I’m trespassing on their private road and I need to get off now. I try to apologize and say I thought I was on the BLM road, but they weren’t having any of it. They pointed and said use the gate, BLM is the other side. Get off our land now. Super weird unpleasant exchange (which probably wasn’t helped by the fact it was basically after dark, the final pinks fading from the sky). There were no signs anywhere indicating the road was private, and I don’t remember seeing anywhere where the BLM road split off. At the beginning it was all definitely one and the same. 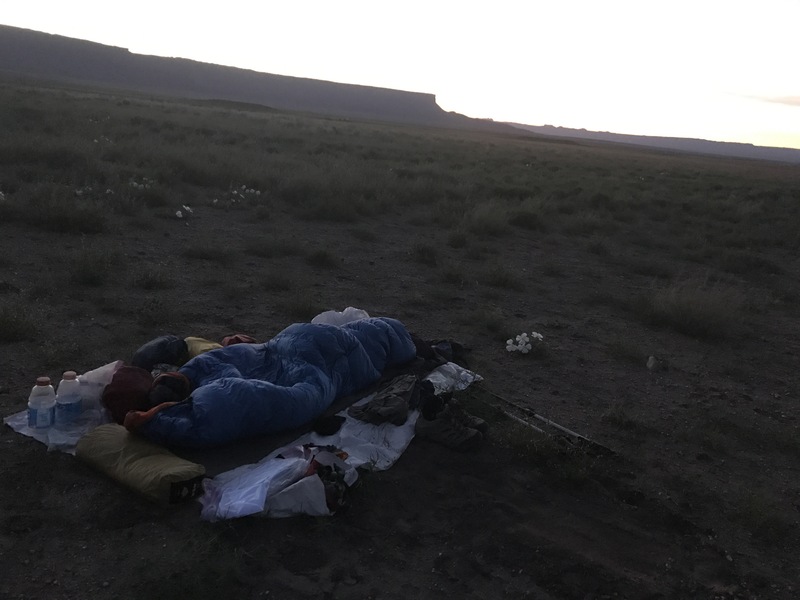 I went another half mile or so to put some distance from their house before finally setting up camp just before 8pm ( which of course is 9pm Utah time). Too dark to even take a picture of camp, so I’ll have to get that tomorrow morning. It’s a warm still night and the forecast is sunny through at least Friday. Looking forward to another awesome week out! Yikes! Even in broad daylight, we somehow also ended up on the private “no trespassing” side of that road. Thankfully we hopped the fence on our own and made it to the BLM side before any dogs were barking or people were yelling. Must’ve been very scary at night!